Classical music and modern music differ in many key ways. The most obvious way is their respective time periods. Classical music is typically considered music made before the 19th century, whereas modern music is music created after the 19th century. Both styles of music are vastly different in other ways, including instrumentation, form, style, purpose and method of creation. Ddickerson.igc.org states that typically, classical music is performed by groups of acoustic instruments. These instruments include the violin, viola, cello, flute, upright bass, piccolo, French horn, tuba, trumpet, trombone, clarinet, oboe, bassoon and saxophone. While all of these instruments make appearances in large orchestras, smaller classical groups called chamber ensembles only use some of them. Typical chamber ensembles include string quartets, brass quintets and woodwind quintets. Modern music utilizes instruments such as the electric guitar, electric bass and keyboard. While both classical and modern music use percussion instruments, classical often uses a percussion section with multiple players each playing separate instruments. Modern music usually has a musician playing the drum set, sometimes with one or two percussionists playing exotic percussion instruments. Classical music consists of primarily instrumental compositions of various sections. According to Library.Thinkquest.org, a symphony is a typical example of classical composition, and includes four movements. Other forms of classical music include the concerto, rondo, mass, oratorio and sonata. These forms may extend anywhere from minutes to hours. Modern music uses much smaller forms than classical music, usually lasting a few minutes. There are fewer forms of modern music as well, with the songs consisting of a series of verses and choruses in various orders. Scaruffi.com states that classical music has many more nuances to style than modern music. 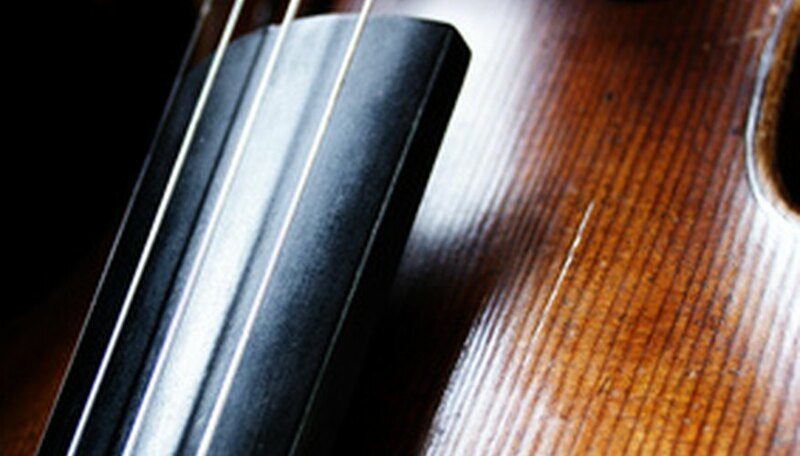 In classical music, emphasis is placed on the emotion and interpretation performers put into a written piece of music. Also, classical music is known to have a wide dynamic range and will often speed up and slow down at different movements. While modern music often expresses emotion through the singer of a group, there is more of an emphasis on improvisation and variation than in classical music. Classical.net offers another difference between classical and modern music. Classical music's purpose is generally to entertain a seated audience and to stimulate listeners emotionally and intellectually. While some modern music is developed to stimulate in similar ways, it also diverges from classical music in important ways. Much modern music is developed simply for dancing, which is uncommon for classical music outside of the ballet. Also, while both classical and modern music have been used commercially, it is much more common for modern music to appear in jingles and advertisements than classical music. The composition of each type of music differs greatly. Given the long forms of classical music, it is not uncommon for composers to take years, even decades, to complete a work. Classical music is often created by introducing many themes and motifs that are developed slowly throughout a piece. Conversely, modern music often uses much fewer motifs and ideas. Also, since modern music is often centered on a singer, it is common for that to be the first instrument for which a writer starts composing. In classical music, it is more common for a composer to write at a piano, imagining all the instruments of the orchestra playing different parts.